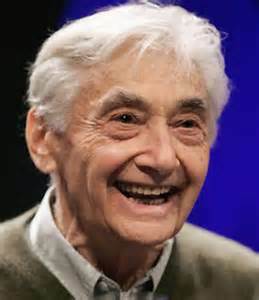 Howard Zinn, 85, is a Professor Emeritus of political science at Boston University. He was born in Brooklyn, NY, in 1922 to a poor immigrant family. He realized early in his youth that the promise of the "American Dream", that will come true to all hard-working and diligent people, is just that -- a promise and a dream. During World War II he joined US Air Force and served as a bombardier in the "European Theatre." This proved to be a formative experience that only strengthened his convictions that there is no such thing as a just war. It also revealed, once again, the real face of the socio-economic order, where the suffering and sacrifice of the ordinary people is always used only to higher the profits of the privileged few. Although Zinn spent his youthful years helping his parents support the family by working in the shipyards, he started with studies at Columbia University after WWII, where he successfully defended his doctoral dissertation in 1958. Later he was appointed as a chairman of the department of history and social sciences at Spelman College, an all-black women's college in Atlanta, GA, where he actively participated in the Civil Rights Movement. From the onset of the Vietnam War he was active within the emerging anti-war movement, and in the following years only stepped up his involvement in movements aspiring towards another, better world. Zinn is the author of more than 20 books, including A People's History of the United States that is "a brilliant and moving history of the American people from the point of view of those who have been exploited politically and economically and whose plight has been largely omitted from most histories" (Library Journal). Ziga Voodovinik: From the 1980s onwards we are witnessing the process of economic globalization getting stronger day after day. Many on the Left are now caught between a "dilemma" -- either to work to reinforce the sovereignty of nation-states as a defensive barrier against the control of foreign and global capital; or to strive towards a non-national alternative to the present form of globalization and that is equally global. What's your opinion about this? Howard Zinn: I am an anarchist, and according to anarchist principles nation states become obstacles to a true humanistic globalization. In a certain sense the movement towards globalization where capitalists are trying to leap over nation state barriers, creates a kind of opportunity for movement to ignore national barriers, and to bring people together globally, across national lines in opposition to globalization of capital, to create globalization of people, opposed to traditional notion of globalization. In other words to use globalization -- it is nothing wrong with idea of globalization -- in a way that bypasses national boundaries and of course that there is not involved corporate control of the economic decisions that are made about people all over the world. Ziga Voodovinik: Pierre-Joseph Proudhon once wrote that: "Freedom is the mother, not the daughter of order." Where do you see life after or beyond (nation) states? Howard Zinn: Beyond the nation states? (laughter) I think what lies beyond the nation states is a world without national boundaries, but also with people organized. But not organized as nations, but people organized as groups, as collectives, without national and any kind of boundaries. Without any kind of borders, passports, visas. None of that! Of collectives of different sizes, depending on the function of the collective, having contacts with one another. You cannot have self-sufficient little collectives, because these collectives have different resources available to them. This is something anarchist theory has not worked out and maybe cannot possibly work out in advance, because it would have to work itself out in practice. Ziga Voodovinik: Do you think that a change can be achieved through institutionalized party politics, or only through alternative means -- with disobedience, building parallel frameworks, establishing alternative media, etc. Howard Zinn: If you work through the existing structures you are going to be corrupted. By working through political system that poisons the atmosphere, even the progressive organizations, you can see it even now in the US, where people on the "Left" are all caught in the electoral campaign and get into fierce arguments about should we support this third party candidate or that third party candidate. This is a sort of little piece of evidence that suggests that when you get into working through electoral politics you begin to corrupt your ideals. So I think a way to behave is to think not in terms of representative government, not in terms of voting, not in terms of electoral politics, but thinking in terms of organizing social movements, organizing in the work place, organizing in the neighborhood, organizing collectives that can become strong enough to eventually take over -- first to become strong enough to resist what has been done to them by authority, and second, later, to become strong enough to actually take over the institutions. Ziga Voodovinik: One personal question. Do you go to the polls? Do you vote? Howard Zinn: I do. Sometimes, not always. It depends. But I believe that it is preferable sometimes to have one candidate rather another candidate, while you understand that that is not the solution. Sometimes the lesser evil is not so lesser, so you want to ignore that, and you either do not vote or vote for third party as a protest against the party system. Sometimes the difference between two candidates is an important one in the immediate sense, and then I believe trying to get somebody into office, who is a little better, who is less dangerous, is understandable. But never forgetting that no matter who gets into office, the crucial question is not who is in office, but what kind of social movement do you have. Because we have seen historically that if you have a powerful social movement, it doesn't matter who is in office. Whoever is in office, they could be Republican or Democrat, if you have a powerful social movement, the person in office will have to yield, will have to in some ways respect the power of social movements. When some people ask me about voting, they would say will you support this candidate or that candidate? I say: "I will support this candidate for one minute that I am in the voting booth. At that moment I will support A versus B, but before I am going to the voting booth, and after I leave the voting booth, I am going to concentrate on organizing people and not organizing electoral campaign." Ziga Voodovinik: Anarchism is in this respect rightly opposing representative democracy since it is still form of tyranny -- tyranny of majority. They object to the notion of majority vote, noting that the views of the majority do not always coincide with the morally right one. Thoreau once wrote that we have an obligation to act according to the dictates of our conscience, even if the latter goes against the majority opinion or the laws of the society. Do you agree with this? Howard Zinn: Absolutely. Rousseau once said, if I am part of a group of 100 people, do 99 people have the right to sentence me to death, just because they are majority? No, majorities can be wrong, majorities can overrule rights of minorities. If majorities ruled, we could still have slavery. 80% of the population once enslaved 20% of the population. While run by majority rule that is OK. That is a very flawed notion of what democracy is. Democracy has to take into account several things -- proportionate requirements of people, not just needs of the majority, but also needs of the minority. And also has to take into account that majority, especially in societies where the media manipulates public opinion, can be totally wrong and evil. So yes, people have to act according to conscience and not by majority vote. Ziga Voodovinik: Where do you see the historical origins of anarchism in the United States? Howard Zinn: One of the problems with dealing with anarchism is that there are many people whose ideas are anarchist, but who do not necessarily call themselves anarchists. The word was first used by Proudhon in the middle of the 19th century, but actually there were anarchist ideas that proceeded Proudhon, those in Europe and also in the United States. For instance, there are some ideas of Thomas Paine, who was not an anarchist, who would not call himself an anarchist, but he was suspicious of government. Also Henry David Thoreau. He does not know the word anarchism, and does not use the word anarchism, but Thoreau's ideas are very close to anarchism. He is very hostile to all forms of government. If we trace origins of anarchism in the United States, then probably Thoreau is the closest you can come to an early American anarchist. You do not really encounter anarchism until after the Civil War, when you have European anarchists, especially German anarchists, coming to the United States. They actually begin to organize. The first time that anarchism has an organized force and becomes publicly known in the United States is in Chicago at the time of Haymarket Affair. Ziga Voodovinik: Where do you see the main inspiration of contemporary anarchism in the United States? What is your opinion about the Transcendentalism -- i.e., Henry D. Thoreau, Ralph W. Emerson, Walt Whitman, Margaret Fuller, et al. -- as an inspiration in this perspective? Howard Zinn: Well, the Transcendentalism is, we might say, an early form of anarchism. The Transcendentalists also did not call themselves anarchists, but there are anarchist ideas in their thinking and in their literature. In many ways Herman Melville shows some of those anarchist ideas. They were all suspicious of authority. We might say that the Transcendentalism played a role in creating an atmosphere of skepticism towards authority, towards government. Unfortunately, today there is no real organized anarchist movement in the United States. There are many important groups or collectives that call themselves anarchist, but they are small. I remember that in 1960s there was an anarchist collective here in Boston that consisted of fifteen (sic!) people, but then they split. But in 1960s the idea of anarchism became more important in connection with the movements of 1960s. Ziga Voodovinik: Most of the creative energy for radical politics is nowadays coming from anarchism, but only few of the people involved in the movement actually call themselves "anarchists." Where do you see the main reason for this? Are activists ashamed to identify themselves with this intellectual tradition, or rather they are true to the commitment that real emancipation needs emancipation from any label? Howard Zinn: The term anarchism has become associated with two phenomena with which real anarchists don't want to associate themselves with. One is violence, and the other is disorder or chaos. The popular conception of anarchism is on the one hand bomb-throwing and terrorism, and on the other hand no rules, no regulations, no discipline, everybody does what they want, confusion, etc. That is why there is a reluctance to use the term anarchism. But actually the ideas of anarchism are incorporated in the way the movements of the 1960s began to think. I think that probably the best manifestation of that was in the civil rights movement with the Student Nonviolent Coordinating Committee -- SNCC. SNCC without knowing about anarchism as philosophy embodied the characteristics of anarchism. They were decentralized. Other civil rights organizations, for example Seven Christian Leadership Conference, were centralized organizations with a leader -- Martin Luther King. National Association for the Advancement of Colored People (NAACP) were based in New York, and also had some kind of centralized organization. SNCC, on the other hand, was totally decentralized. It had what they called field secretaries, who worked in little towns all over the South, with great deal of autonomy. They had an office in Atlanta, Georgia, but the office was not a strong centralized authority. The people who were working out in the field -- in Alabama, Georgia, Louisiana, and Mississippi -- they were very much on their own. They were working together with local people, with grassroots people. And so there is no one leader for SNCC, and also great suspicion of government. Ziga Voodovinik: Do you thing that pejorative (mis)usage of the word anarchism is direct consequence of the fact that the ideas that people can be free, was and is very frightening to those in power? Howard Zinn: No doubt! No doubt that anarchist ideas are frightening to those in power. People in power can tolerate liberal ideas. They can tolerate ideas that call for reforms, but they cannot tolerate the idea that there will be no state, no central authority. So it is very important for them to ridicule the idea of anarchism to create this impression of anarchism as violent and chaotic. It is useful for them, yes. Ziga Voodovinik: In theoretical political science we can analytically identify two main conceptions of anarchism -- a so-called collectivist anarchism limited to Europe, and on another hand individualist anarchism limited to US. Do you agree with this analytical separation? Howard Zinn: To me this is an artificial separation. As so often happens analysts can make things easier for themselves, like to create categories and fit movements into categories, but I don't think you can do that. Here in the United States, sure there have been people who believed in individualist anarchism, but in the United States have also been organized anarchists of Chicago in 1880s or SNCC. I guess in both instances, in Europe and in the United States, you find both manifestations, except that maybe in Europe the idea of anarcho-syndicalism become stronger in Europe than in the US. While in the US you have the IWW, which is an anarcho-syndicalist organization and certainly not in keeping with individualist anarchism. Ziga Voodovinik: What is your opinion about the "dilemma" of means -- revolution versus social and cultural evolution? Howard Zinn: I think here are several different questions. One of them is the issue of violence, and I think here anarchists have disagreed. Here in the US you find a disagreement, and you can find this disagreement within one person. Emma Goldman, you might say she brought anarchism, after she was dead, to the forefront in the US in the 1960s, when she suddenly became an important figure. But Emma Goldman was in favor of the assassination of Henry Clay Frick, but then she decided that this is not the way. Her friend and comrade, Alexander Berkman, he did not give up totally the idea of violence. On the other hand, you have people who were anarchistic in way like Tolstoy and also Gandhi, who believed in nonviolence. There is one central characteristic of anarchism on the matter of means, and that central principle is a principle of direct action -- of not going through the forms that the society offers you, of representative government, of voting, of legislation, but directly taking power. In case of trade unions, in case of anarcho-syndicalism, it means workers going on strike, and not just that, but actually also taking hold of industries in which they work and managing them. What is direct action? In the South when black people were organizing against racial segregation, they did not wait for the government to give them a signal, or to go through the courts, to file lawsuits, wait for Congress to pass the legislation. They took direct action; they went into restaurants, were sitting down there and wouldn't move. They got on those buses and acted out the situation that they wanted to exist. Ziga Voodovinik: On one occasion Noam Chomsky has been asked about his specific vision of anarchist society and about his very detailed plan to get there. 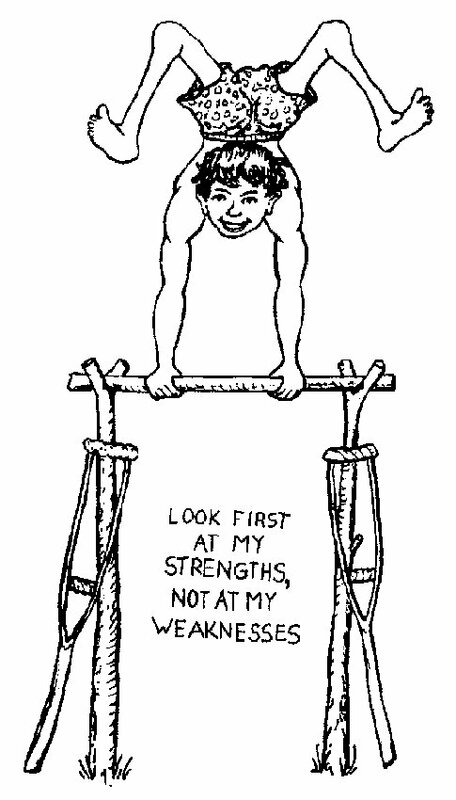 He answered that "we can not figure out what problems are going to arise unless you experiment with them." Do you also have a feeling that many left intellectuals are loosing too much energy with their theoretical disputes about the proper means and ends, to even start "experimenting" in practice? Howard Zinn: I think it is worth presenting ideas, like Michael Albert did with Parecon for instance, even though if you maintain flexibility. We cannot create blueprint for future society now, but I think it is good to think about that. I think it is good to have in mind a goal. It is constructive, it is helpful, it is healthy, to think about what future society might be like, because then it guides you somewhat what you are doing today, but only so long as this discussions about future society don't become obstacles to working towards this future society. Otherwise you can spend discussing this utopian possibility versus that utopian possibility, and in the mean time you are not acting in a way that would bring you closer to that. Ziga Voodovinik: In your People's History of the United States you show us that our freedom, rights, environmental standards, etc., have never been given to us from the wealthy and influential few, but have always been fought out by ordinary people -- with civil disobedience. What should be in this respect our first steps toward another, better world? Howard Zinn: I think our first step is to organize ourselves and protest against existing order -- against war, against economic and sexual exploitation, against racism, etc. But to organize ourselves in such a way that means correspond to the ends, and to organize ourselves in such a way as to create the kind of human relationship that should exist in future society. That would mean to organize ourselves without centralized authority, without charismatic leader, in a way that represents in miniature the ideal of the future egalitarian society. So that even if you don't win some victory tomorrow or next year in the meantime you have created a model. You have acted out how future society should be and you created immediate satisfaction, even if you have not achieved your ultimate goal. Ziga Voodovinik: What is your opinion about different attempts to scientifically prove Bakunin's ontological assumption that human beings have "instinct for freedom," not just will but also biological need? Howard Zinn: Actually I believe in this idea, but I think that you cannot have biological evidence for this. You would have to find a gene for freedom? No. I think the other possible way is to go by history of human behavior. History of human behavior shows this desire for freedom, shows that whenever people have been living under tyranny, people would rebel against that. Ziga Vodovnik is an Assistant Professor of Political Science at the Faculty of Social Sciences, University of Ljubljana, where his teaching and research is focused on anarchist theory/praxis and social movements in the Americas. His new book Anarchy of Everyday Life -- Notes on Anarchism and its Forgotten Confluences will be released in late 2008.